Art has the ability to uplift, inspire, invigorate, unify, and galvanize individuals and communities, art plays an integral and universal role in the enhancement and expression of our human experience. While art is traditionally confined to galleries, Zen Awakening Festival Artmosphere curated by Jacob Hill will be exhibiting works that will be inspired and created at the festival – transforming into incredible paintings over the course of the festival. 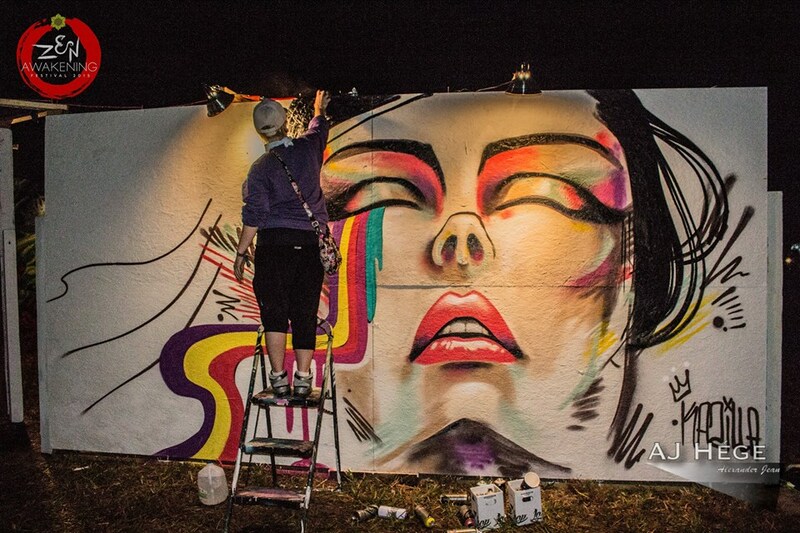 This year everyone will have the opportunity to participate in creating art in the Artmosphere an interactive playground of color with lots of paint brushes and canvas to make your own work of art. 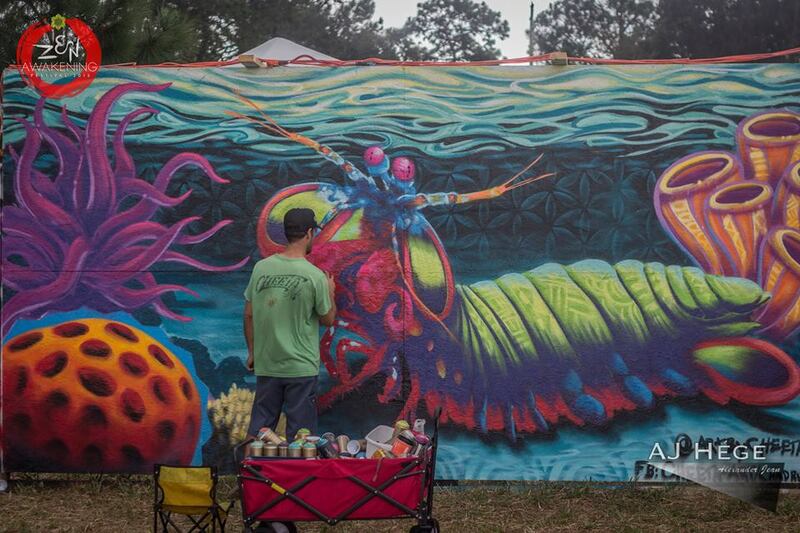 Scattered throughout the festival grounds will be many live painters, art installations and visionary artist, at the stages showcasing and creating their amazing works of art. 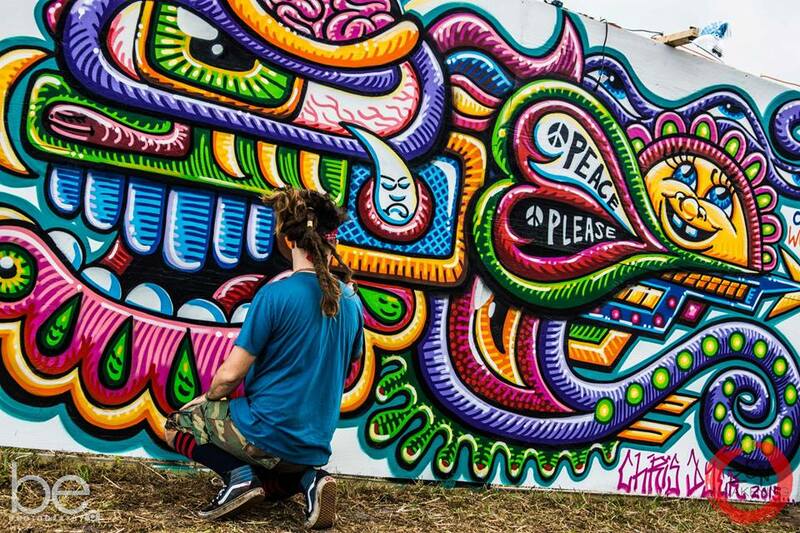 Chris Dyer is a Peruvian artist, living in Canada, and traveling the world half of his time. He experiences different cultures and then re-expresses them into his own oneness visions. He serves as a Bridge builder between different art movements from skateboard graphics, visionary paintings, street art murals and more. He wants to break boxes and see everything as one optimistic reality. 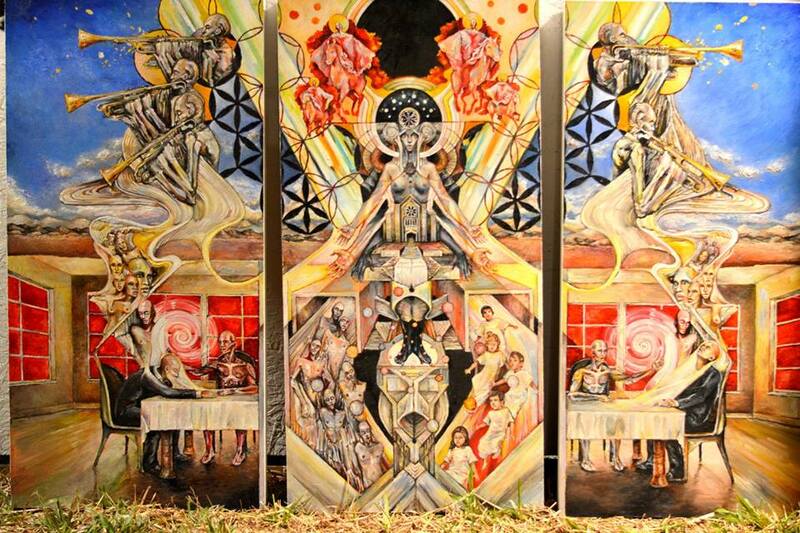 Though his subject matters are as varied as his styles, his art is just a reflection of his personal spiritual journey. Growing up in a small town in Central Florida, Cheeta found himself creating outlets to explore his passions for art, surfing, skate, ocean, nature and world adventure. After years of operating his own Graphic design and Advertising companies in Tampa, FL designing countless brands and marketing materials, he dusted off his art brushes to pursue a old passion. This move created a new lifestyle through his paintings expressing his own emotions and joy with Surfing and life inspirations. Over the recent years, he has done many gallery showings, art exhibitions, live art performances, festivals and many charitable events through out Florida and more. As one of the top street artists that represent MIA, internationally renowned – KAZILLA is famous for creating true ‘performance art’. Painting live murals and works of art in the spotlight for a myriad of audiences, such as leading recording artists and their masses of onlookers, museums, exclusive events, major brands, print and TV. To most it would be a bit unnerving, asked to make a masterpiece in front of hundreds, sometimes thousands of eyes, all watching your every move and mistake. Using the pressure and constant critique to her advantage, Kazilla has mastered the art of “free hand”, “working your mistakes, instead of your mistakes working you”, “speed painting” and the “minute masterpiece”. The best part of KAZILLA’s “work” is that 95% of her live work is indeed free handed. KAZILLA’s style bounds between the street arts and fine arts. A native of New Mexico, she currently resides & works from her studio/gallery in Little Haiti, Miami. After moving to the east coast in 2007, her work transcended street art, and combined her two styles of fine art and graffiti to create an edgy, colorful clash of two very different worlds. Often using various mediums to create her distinctive style, there is always a level of experimentation in every piece, keeping the work fresh and dynamic. Organic themes infused with feminine figures, surreal landscapes, geometric patterns and vibrant colors create a daunting visual feast for all audiences.